It’s that wonderful time of year again, where dreams are made and hopes are destroyed with Wrestlemania not far down the road. 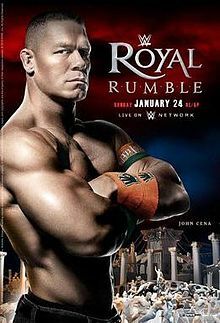 Yep – the Royal Rumble. The Royal Rumble match is easily my favorite event of the year, since it brings the excitement of finding out this year’s definite WrestleMania main eventer along with the general nostalgia of surprise returns. It’d be an understatement to say the last two Rumbles have met great fan criticism with Batista (2014) and Roman Reigns (2015) winning – two babyfaces who weren’t “over” and forced WrestleMania plan changes both years. This year, Vince McMahon has set Reigns up well as the source of his vengeance, giving the valiant babyface the biggest Rumble obstacle yet – defending his WWE World Heavyweight Championship in the actual match against 29 other superstars. I like this move because it establishes McMahon as a pure evil genius while adding more intrigue to the match. The fun part of it all is that this gives an unpredictability factor that’ll allow for social media to come abuzz. Who’ll return? Do they have a shot to become Champion? To add to this “buzz,” I’d like to take a look at my top five guys who could benefit from this sudden opportunity to leave the Rumble as Champ. 5) Sheamus: The Celtic Warrior had a respectable Championship reign, carrying the product as a top heel when many stars were absent. His Money In the Bank Cash-In assured us that he wasn’t doomed for failure and actually had the chance to “run with the ball” per se. He has finally been portrayed as a believable main-eventer and putting him back in the driver’s seat can only allow for some interesting storylines headed in to Mania. 4) Brock Lesnar: With “The Beast” returning on the next Raw episode and based on his history with Reigns already, we’d be surprised if he didn’t declare himself a Rumble entrant. With the ultimate prize (and one he never got pinned to lose) available, we know the crowd wouldn’t reject Lesnar turning the Rumble match into Suplex City. As we saw last year, Lesnar can be a great Champion and put on exceptional matches against almost anybody. 3) Bray Wyatt: From his in-ring skills to his weekly creepy, crptic-esque promos, the Championship needs this kind of representative right now. Wyatt’s not your typical “superstar” for a change and has proven he could work great programs with multiple talent. It’s about time he gets his time. 2) Dean Ambrose: This is somebody who has an extremely wide fanbase with wild support. He has the chance to accomplish something we knew he’d eventually do upon entering WWE. In a feud with his former Shield brother over the Title (because we won’t count Survivor Series) as a heel or face, he can rise to the occasion. Fan support would tell us he stays babyface. 1) Kevin Owens: Owens has had notable success the past six months and a dominant Rumble performance should already do him good, but why not go all the way by giving him the Title? Him and Reigns have butted heads recently too and besides your classic “babyface chases heel Champion” WrestleMania storyline, Owens could make great use of this opportunity and impress more people with a Title run when most people are invested in the product. Win, Owens, Win. Posted on January 6, 2016, in WWE and tagged Anthony Zevoteck, Batista, Bray Wyatt, Brock Lesnar, Dean Ambrose, Kevin Owens, Roman Reigns, Royal Rumble, Sheamus, Vince McMahon, WWE. Bookmark the permalink. 1 Comment. Good choices, it would be awesome to see Owens go all the way.